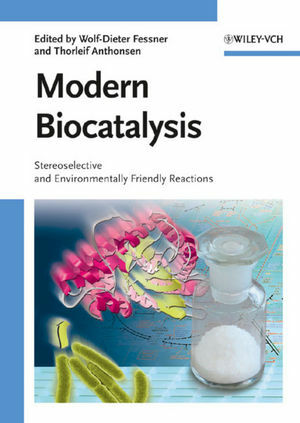 With its special focus on progress and new developments towards environmentally beneficial reactions with high levels of selectivity for the production of key compound classes, this book will enlighten both chemists and biologists as to the advances and opportunities existing in enzyme catalysis. Wolf-Dieter Fessner obtained his PhD from the University of Freiburg, following which he carried out postdoctoral research at Harvard University with George Whitesides and at the University of Southern California with George Olah. Since 1998 he has been Full Professor of Organic Chemistry at the Technische Universität Darmstadt. His primary research interest is focused on the development of practical methods for enzymatic carbon-carbon bond formation and oligosaccharide synthesis, and on the interface between chemical and biological catalysis. Thorleif Anthonsen is Professor of Organic Chemistry at The Norwegian University of Science and Technology, NTNU, in Trondheim. He has been a post doc/visiting scholar at Glasgow University, UK, at UCLA Los Angeles, with Donald Cram at MIT Cambridge, USA, with Alexander Klibanov and at Cytel Corporation, San Diego. He has led the biocatalysis group at NTNU whose research focused on synthesis of enantiopure compounds directed towards production of chiral drugs. In 2001 he initiated COST action D25, Applied Biocatalysis, which he also chaired from beginning to end. Professor Anthonsen's primary research interests are natural product chemistry and biocatalysis in organic chemistry. Why do Additives Affect the Activity and Enantioselectivity of Lipases in Organic Solvent?